St. Justin School is LIVING ITS FAITH by doing for others as Jesus taught us. St. Justin's Community Ministry is led by Mr. Joe Bauer and his team of selfless volunteers who work tirelessly to provide food and other necessities to the less fortunate. We are most fortunate to have this program on our campus as it allows us to make service to others a part of our daily lives. The school community is proud to help with this worthy cause. St. Justin families consistently donate food to our Community Ministry program. Bins are conveniently placed in the church as well as in the school foyer. We also have a canned food drive every October in which students can earn tickets to our Halloween carnival for every can they donate. 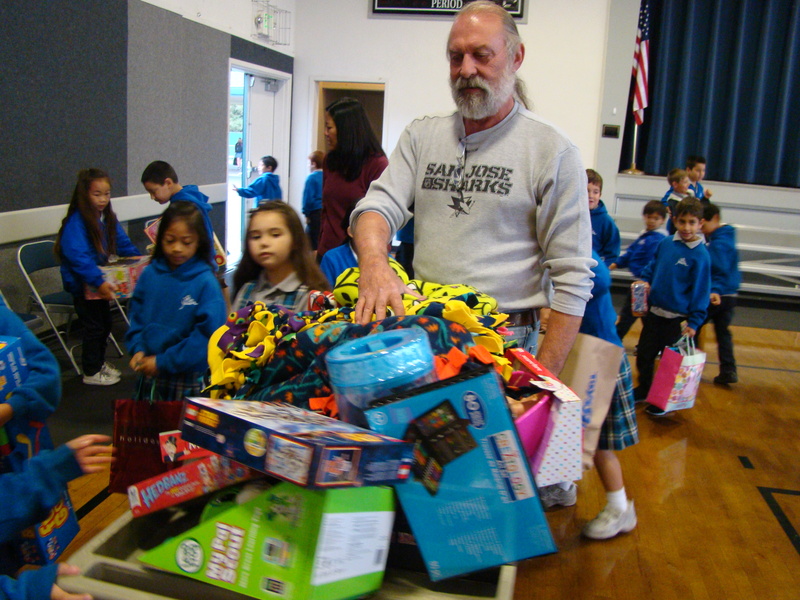 Every December, students donate items such as socks, toiletries, jackets, sleeping bags/blankets, books, and games during our Advent Novena. These donations are, in turn, distributed to families in need through Community Ministry. Students and their families assist in sorting, packing, and distributing food during the holidays. 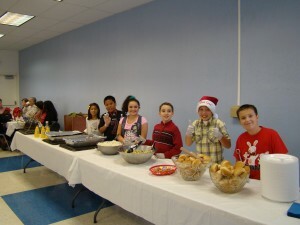 Every Thanksgiving, Christmas, and Easter, meals are provided to hundreds of needy families. In fact, just at Christmastime alone, over 800 families receive assistance from our Community Ministry program. Monthly Outreach Dinners are sponsored by Community Ministry. These get-togethers provide a delicious meal followed by several entertaining rounds of BINGO for the senior citizens of our parish. These events are hosted by a different class every month. Participating in the Community Ministry program reminds all of us that "it is in giving that we receive." Mr. Bauer gathers games and blankets that were donated during the Advent Novena. Students are ready to serve at an Outreach Dinner. 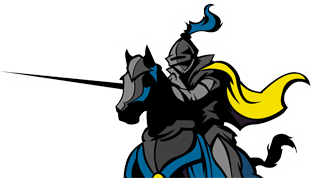 All students in grades 6-8 are expected to serve the community by participating in the Junior High Service Program. Opportunities to serve are available both at school (through Community Ministry, serving at the Fall Tea, assisting with Reading Club, etc.) as well as in the community at large (charities, creek/beach clean-ups, working with the elderly, etc). Sixth graders are expected to volunteer 5 hours during the school year, seventh graders are required to volunteer 10 hours, while eighth graders need to clock 15 hours over the course of the year. In May, students write a reflection and prepare a presentation detailing their experience. Serving the community is just one way students at St. Justin School live their faith. 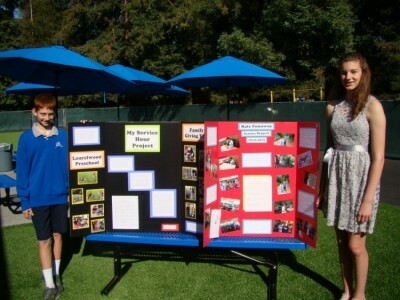 Two junior high students proudly share their service projects.